I’m sure that most organizations perform some sort of backup of their System Center 2012 Configuration Manager (CM12) sites, however, how many of them have actually tested their backup? Probably very few, as it can be very difficult to simulate a failure in production and perform a site recovery. Backups are good. Backups that you know you can actually restore from are better. This post is intended to give the reader an understanding of the general case backup requirements of CM12, a sample backup strategy, and how to test the backup by simulating a failure and performing a restore of the database portion of the site. I typically walk my clients through this process before handing them the keys to their new CM12 environment. The instructions provided here are based on System Center 2012 Configuration Manager SP1 and MS SQL Server 2012 SP1. CM12 has a built in maintenance task call Backup Site Server. It performs synchronization between the database and the site control file and other key configuration elements of the Configuration manager site. Although a restore from a database backup is also supported in CM12, this post will only address using the Configuration Manager scheduled backup task as most administrators should be familiar with it. Review the timestamp on the SMSBKUP.LOG file that the Backup Site Server maintenance task created in the backup destination folder. Verify that the timestamp has been updated with a time that coincides with the time when the Backup Site Server maintenance task was last scheduled to run. Review the log files for errors. The backup files in E:\CM12_Backup should be moved to an archival media as per corporate standards. Multiple copies should be maintained in the event that one copy is corrupted or unavailable as it is preferable to restore from an older backup that to recreate the entire infrastructure manually if the latest backup is unavailable. The Backup Site Server task is intended to backup key elements of the Configuration Manager site that require synchronization, or other special attention. The same error may be encountered during a test of the restoration process due to remnants of the site in the registry that may indicate a previous installation. As the base OS, SQL Server and, Configuration Manager Application software can all be rebuilt from generic source media, the most important part of a DR test is to verify that the site configuration and database can be restored as these items will be specific to your organization. The following method can be used to simulate a failure and restore. Create one or more objects (such as collections) and make some configuration changes (such as a boundary). Perform a site backup. To quickly start a site backup without modifying the backup schedule, use Service Manager to start the SMS_Site_Backup service. Use the command PREINST.EXE /STOPSITE to stop all CM12 services. Browse to “\Program Files\Microsoft Configuration Manager\Bin\x640000409” to find the executable. 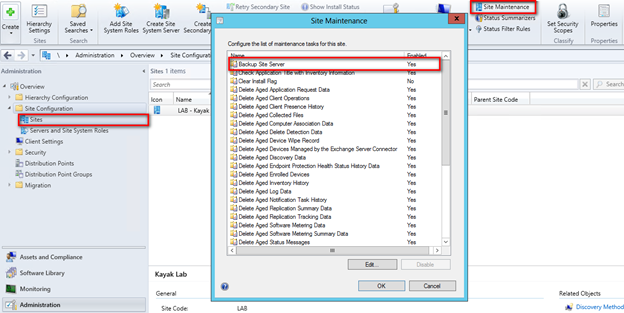 Perform the Site Recovery task and select restore database from backup. Browse to the location of the database backup. The site recovery details will be pre-populated. Browse to the location of the downloaded prerequisites from the initial installation process. The pre-requisite check will run and complete and then the installation will begin. Site and installation settings will be pre-populated as will the database information. Once the process is started it will appear as the original installation. Refer to the Server Build Guide for more details. Once the recovery is complete, verify that the objects and configuration items that you created in Step 1 are recovered. 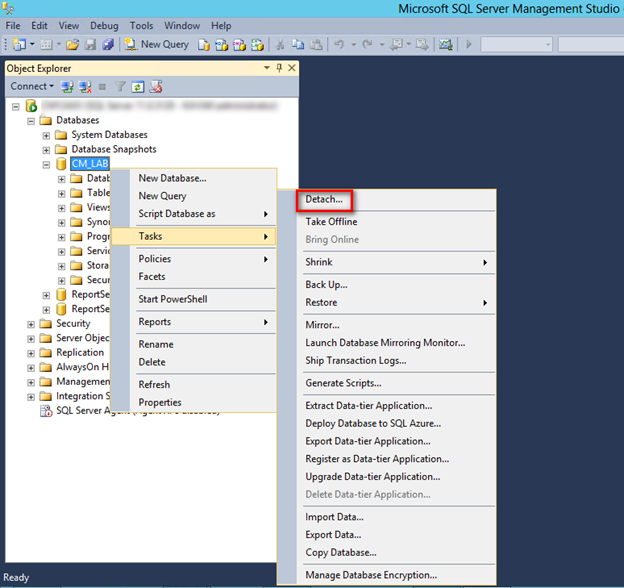 Remove the Test Objects and configuration items. Now go test those backups. This entry was posted in Configuration Manager, SCCM, System Center and tagged Backup, Configuration Manager, Restore, SCCM.